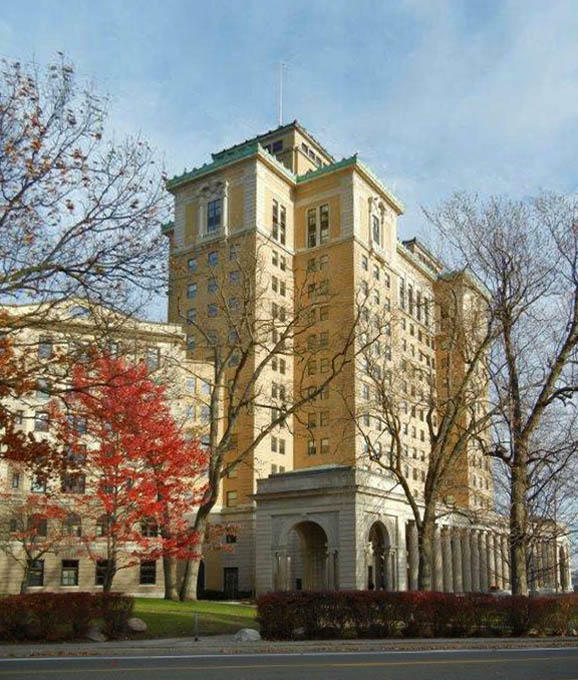 In 1928, an impressive 15 story building was added to the Battle Creek Sanitarium, a hotel-like health spa run by Dr. John Harvey Kellogg. 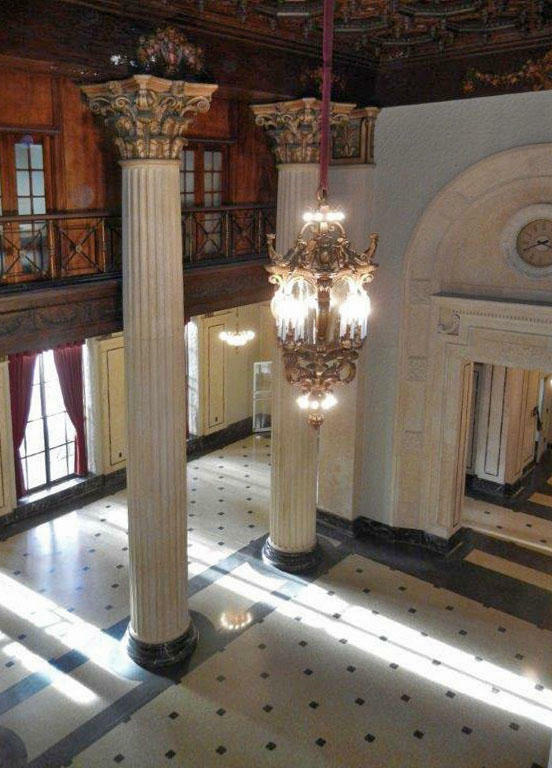 The building has big, fluted pillars with Corinthian capitals on the top of them. The chandeliers and all of the interior decorations are original. Ken MacNevin is the spokesperson in the Office of Public Affairs for the Defense Logistics Agency. “You think of any major person in the business world and industrial world, they were people that were guests at the sanitarium--Henry Ford. Kresge. J.C. Penney," says MacNevin. The depression hurt the sanitarium. When the army made an offer to buy the buildings, Kellogg sold, moving to a smaller building across the street. In World War II the facility became the Percy Jones Army Hospital, housing about a thousand or more patients. Additional ambulatory patients were housed at Fort Custer. Will Keith Kellogg and the Kellogg Foundation provide the mansion on Gull Lake as a place for soldiers to recreate but as the war went on, it also was a barracks for recovering soldiers. When the Fort Custer Hospital is added to the count, the facility was the largest U.S. Army hospital in the world. The building is named after three wounded patients who became U.S. Senators: Philip Hart of Michigan, Robert Dole of Kansas and Daniel Inouye of Hawaii. Dole who had lost the use of his arm and Inouye whose arm was amputated became close friends. It was at the hospital that they had decided to seek public office when recovered. The Battle Creek Sanitarium had been a destination for the elite wealthy. When the building was a hospital during WWII, the Army was segregated but the hospitals were not. All ethnicities recuperated together. Take your own tour of Kalamazoo architecture! Retired Western Michigan University professor of art Charles Stroh spent five years putting together six walking tours of Kalamazoo’s architecture. He gathered information for the tours from his year-long column with the Kalamazoo Gazette called Hidden Kalamazoo and extra credit assignments from his old classes. You can pick up Charles Stroh’s CD on Kalamazoo architecture at Petals and Postings, Bella Patina, Retro, and through Stroh himself. In small communities, people depend on the weekly newspaper for local news. The Paw Paw Courier-Leader carries on a long tradition that dates back to 1843. These days, obituaries are posted on their website as soon as they get them, but otherwise the pace is slow.